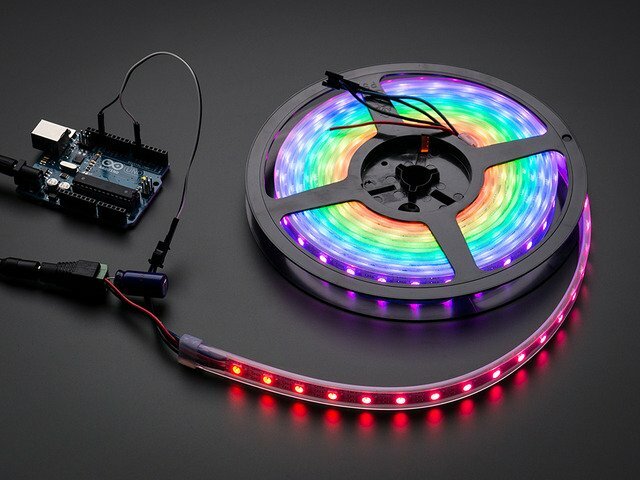 Wiring NeoPixels to work with a Raspberry Pi is quite simple. The only issue to deal with is converting the Pi's GPIO from 3.3V up to about 5V for the NeoPixel to read. There are two ways you can do this level conversion, either with a simple 1N4001 power diode or with a level converter chip like the 74AHCT125. Note that you might be able to get your NeoPixels to work without any level conversion, but it's not really guaranteed because the data line needs to be at least 0.7 * VDD (5 volts), or about 3.5 volts. Try one of the level conversion options below if you can't directly drive the pixels from your Raspberry Pi. The diode method is a quick way to reduce the power supply voltage slightly so the NeoPixels can read the Pi's 3.3V output. However you need to be careful to use a diode that can handle all the current drawn by the NeoPixels. The diodes Adafruit sells only handle 1 Amp of continuous current so they're good for driving up to about 16 NeoPixels at full 100% bright white - and about 50 NeoPixels if they're all lit with various colors. Also because the NeoPixels aren't running at 5 volts they might be a little dimmer than normal. A level converter chip like the 74AHCT125 is a better method because it will convert the Pi's 3.3V output up to 5V without limiting the power drawn by the NeoPixels. You'll get full NeoPixel brightness that's only limited by the current capability of the power supply. NeoPixels must be connected to GPIO10, GPIO12, GPIO18 or GPIO21 to work! 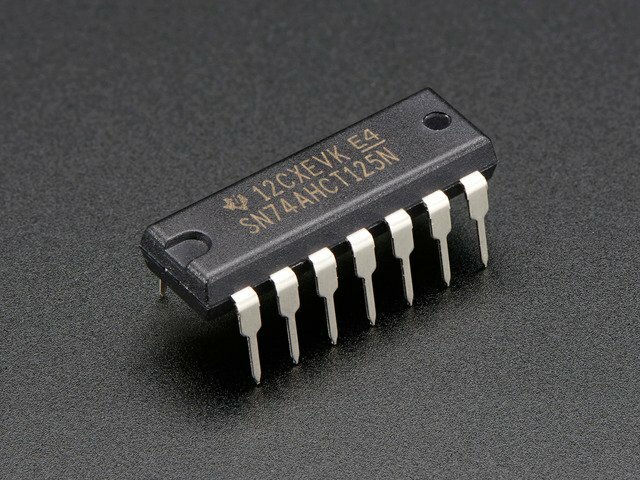 GPIO18 is the standard pin. Be aware, you can only create one strip at a time! 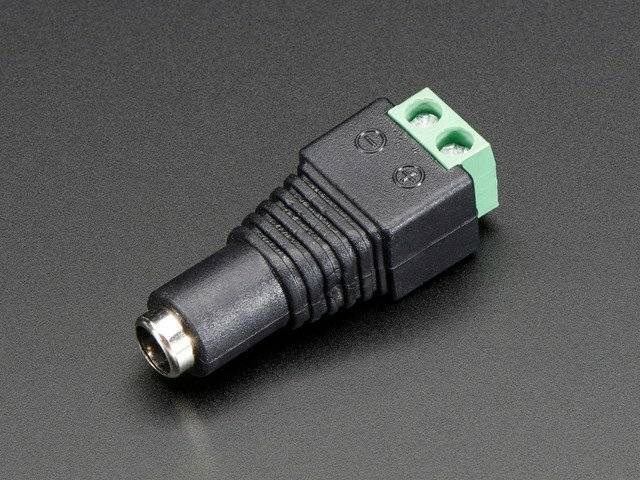 If you have more than one, connect them together and then wire them to your Raspberry Pi using a single connection. You can use the following wiring diagrams to connect your NeoPixels to your Raspberry Pi. Power supply 5V to NeoPixel 5V. Pi pin 18 to NeoPixel DIN. 1N4001 diode cathode (side with the stripe) to NeoPixel 5V. Power supply ground to Pi ground. Power supply ground to NeoPixel GND. Power supply 5V to 1N4001 diode anode (side without the stripe). Make sure to get the orientation of the diode correct, with the cathode (side with the stripe) going to the NeoPixel! Remember, your NeoPixels may not work connected directly to the Raspberry Pi without a level shifter. If you run into issues, try adding a level shifter to your project. Do not power more than a few NeoPixels from the Raspberry Pi's 5V output! The Pi cannot source enough current to light many pixels and will be damaged. 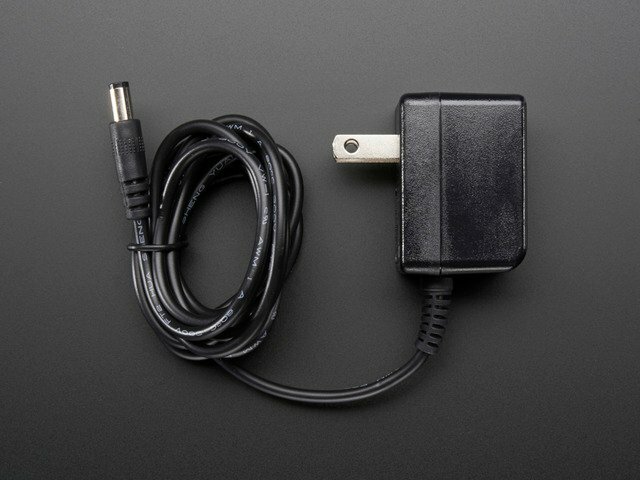 Use a good quality external 5V power supply that can handle the current demands of all the pixels. 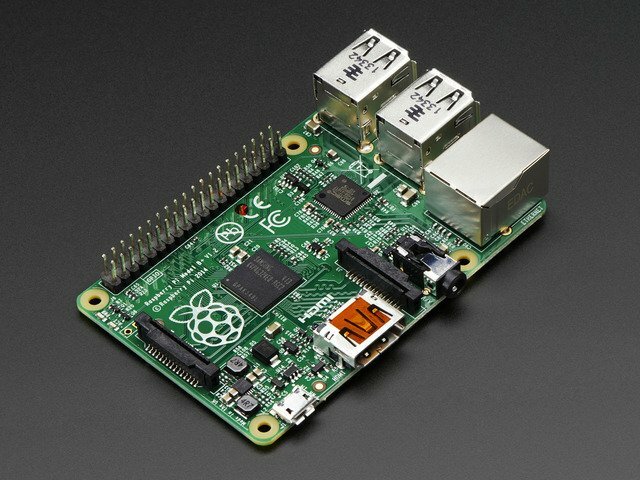 If you're only powering a few pixels, you can power them from the Raspberry Pi 5V pin. If you're going to be using more than a few pixels, it's a good idea to connect an external power source. Remember each pixel can draw up to 60mA so don't skimp on the power supply! To demonstrate the usage of this library with NeoPixel LEDs, we'll use the Python REPL. That's all there is to getting started with NeoPixel LEDs on Raspberry Pi! Below is an example program that repeatedly turns all the LEDs red, then green, then blue, and then goes through a single rainbow cycle. If you chose a pin other than D18 for your NeoPixels, change the pin to match the pin you chose to use to connect the NeoPixels to your Raspberry Pi. If you're using a different number of NeoPixels, change num_pixels to match. # NeoPixels must be connected to D10, D12, D18 or D21 to work. This guide was first published on Sep 12, 2014. It was last updated on Sep 12, 2014.